The Waynesboro Police Department arrested a city woman today after she stole a family member’s checks and credit card number and racked up several thousand dollars’ worth of fraudulent purchases last month. Chassidy Batton Painter, 39 years old of Waynesboro, faces 29 felony charges stemming from her nearly month long spending spree which included several hundred dollars of gift cards and rent payment. The offenses date from Sept. 2 to Sept. 25. In late September, the 69-year-old victim, who is related to Painter by marriage, reported to an officer that several of her checks had been stolen from her checkbook. Painter then passed the forged checks at both Waynesboro Walmart stores where she got gift cards. She used one of the checks to pay her rent. 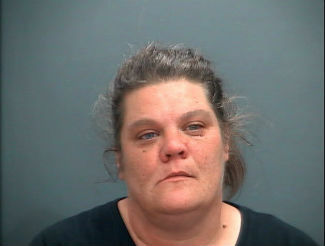 In addition, the victim reported that nearly a dozen charges had been made using one of her credit cards. The purchases were made at Lowe’s and Rite Aid. With the assistance of the Walmart Neighborhood Market staff, the officer was able to identify Painter as the suspect. Painter is being held on a $2,000 bond at Middle River Regional Jail.